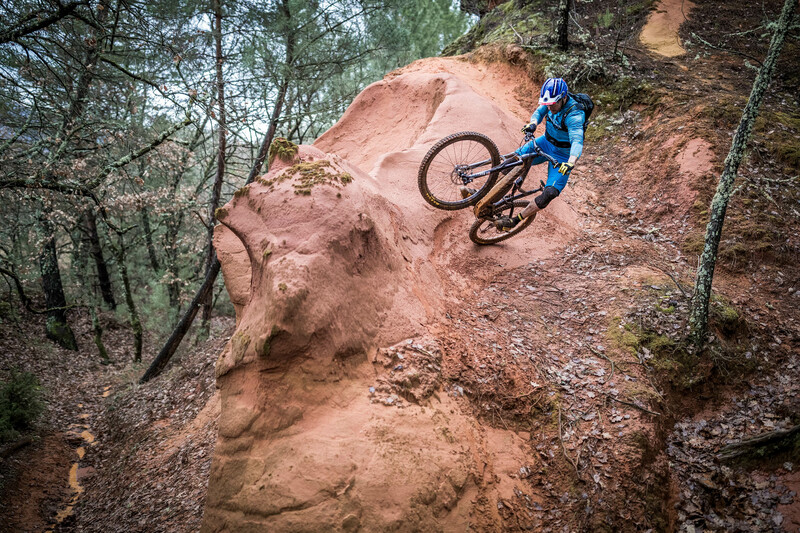 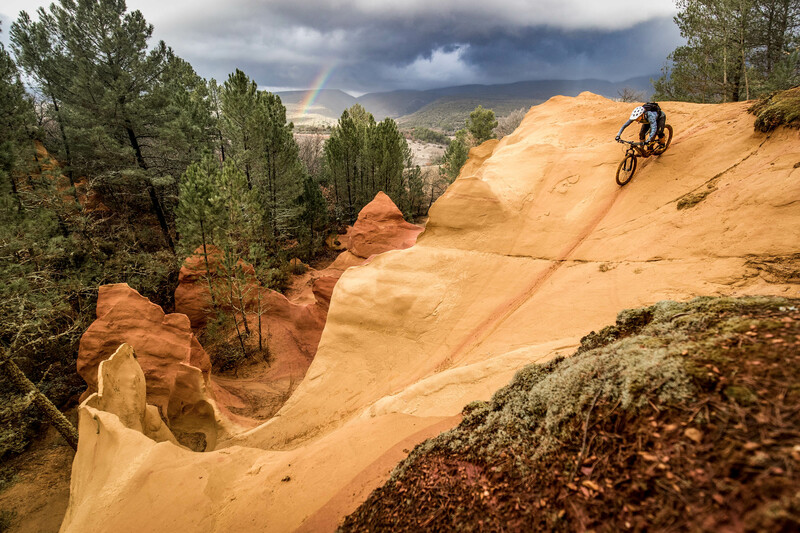 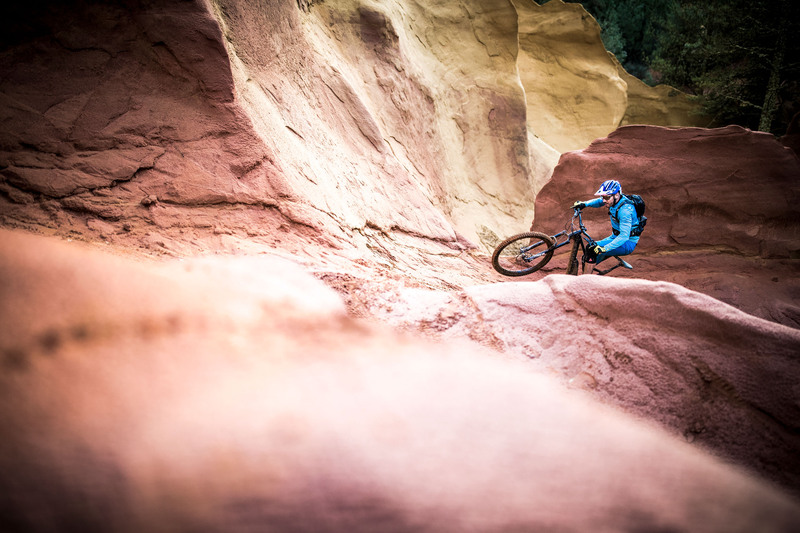 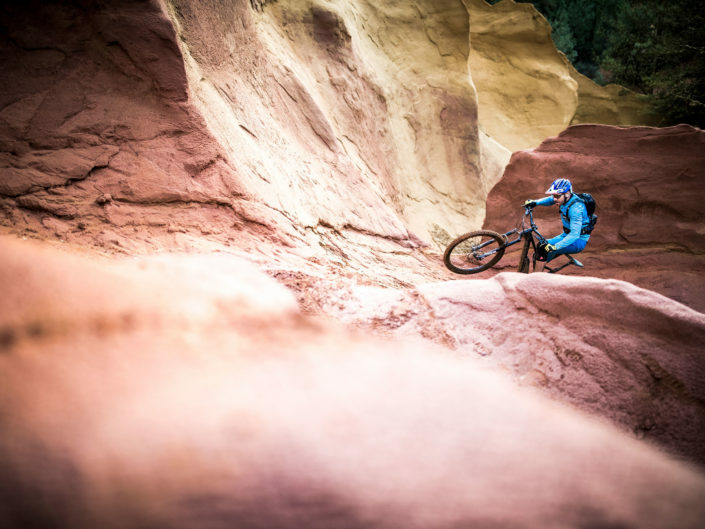 Back in the ninetys, when freeriding was young and fresh, the pictures of red sandstone spots in the south of france were going around the world. 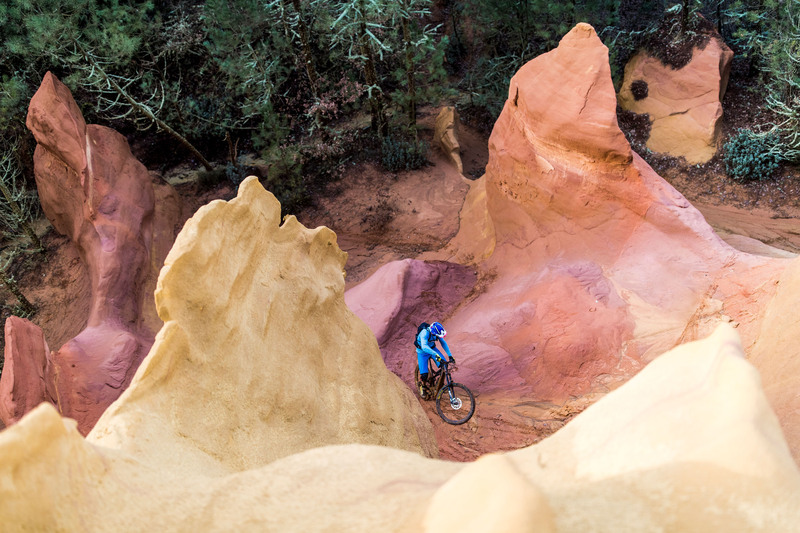 Freeride pioneers like Christian Taillefer were showing extreme vertical rides on those steep but grippy slopes. 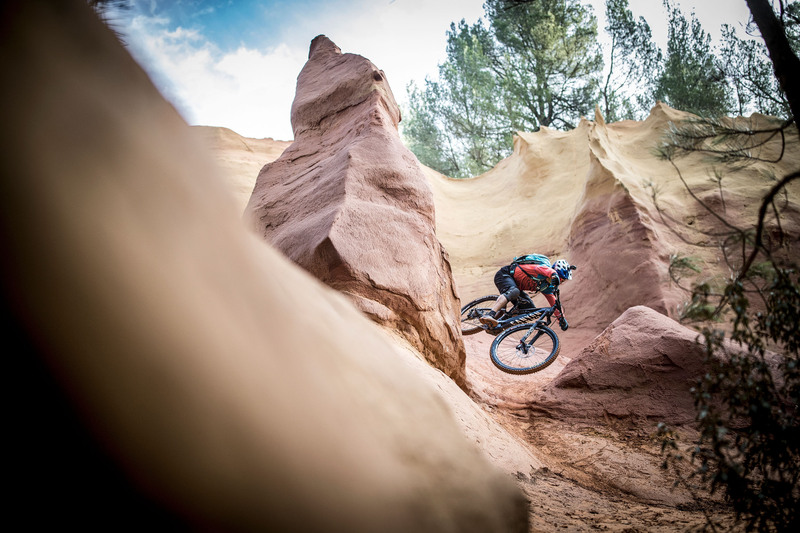 For the advertising campaign of canyons brandnew „Spectral On” the french red rocks found a revival. 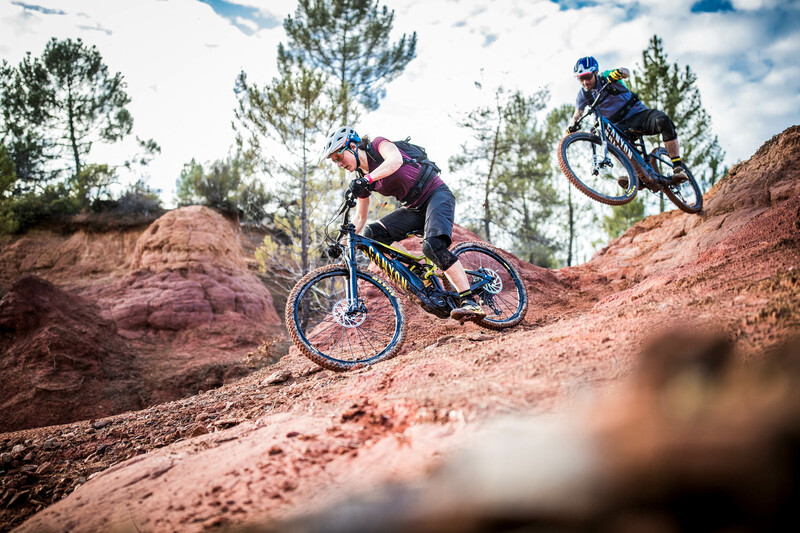 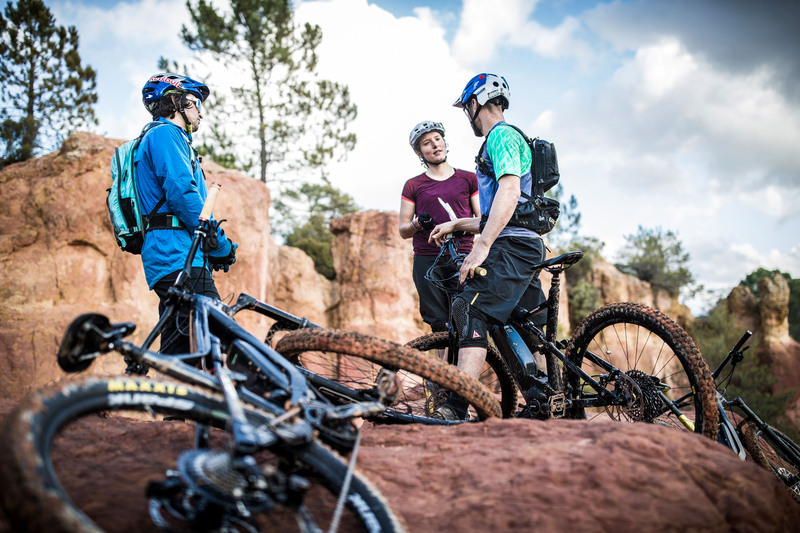 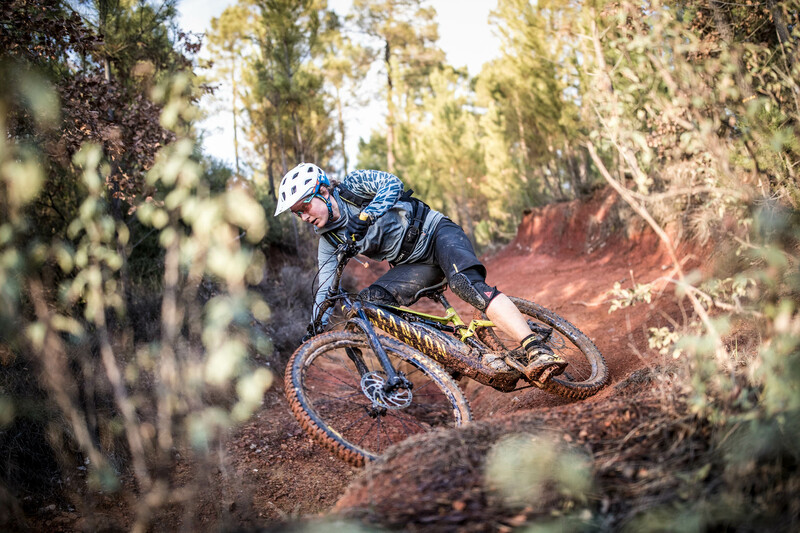 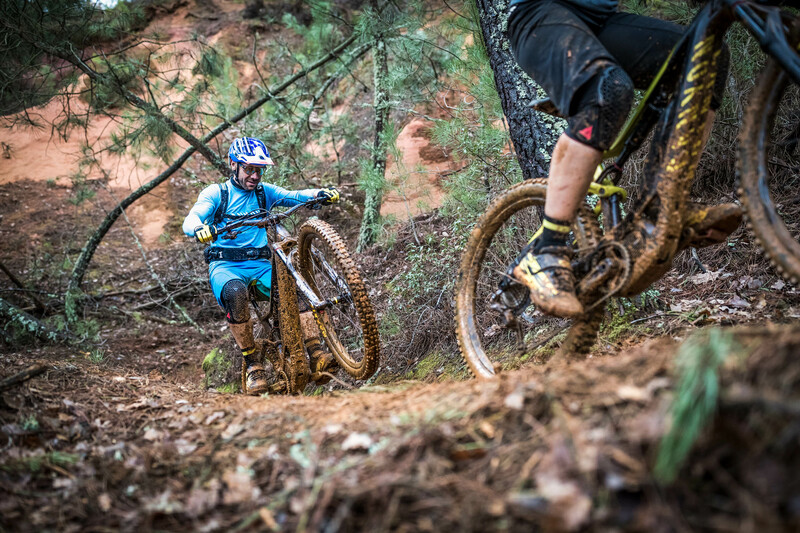 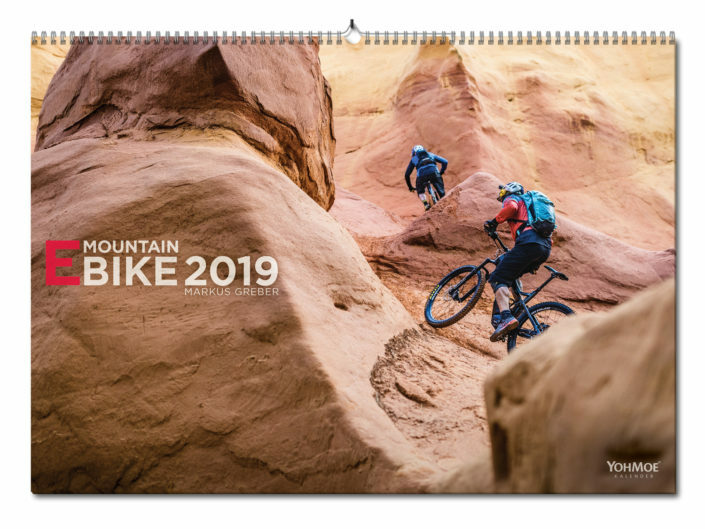 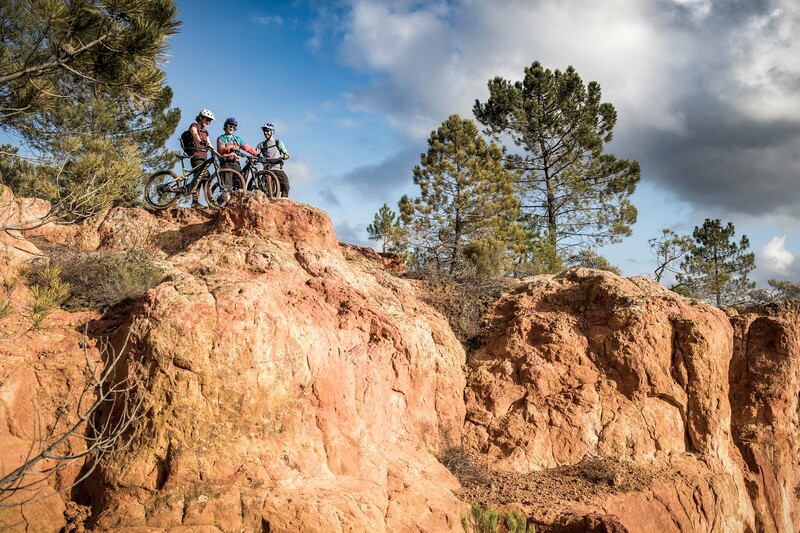 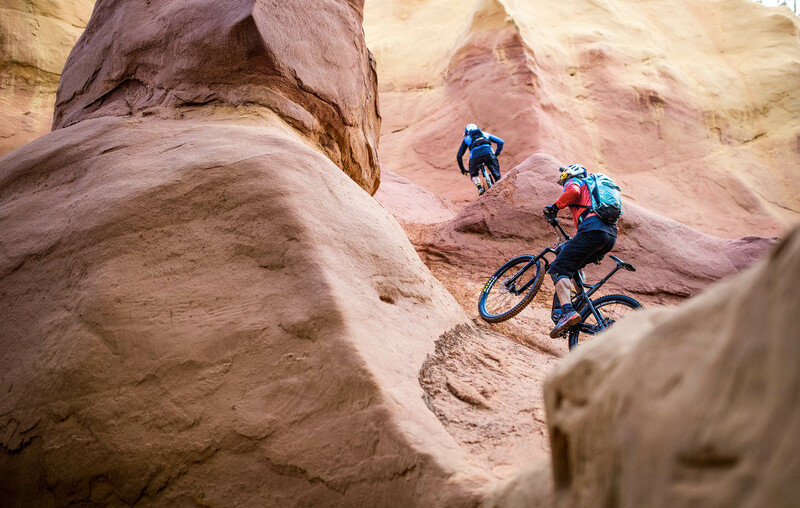 The extreme traction of this kind of terrain offered a perfect playground for E-MTBs. 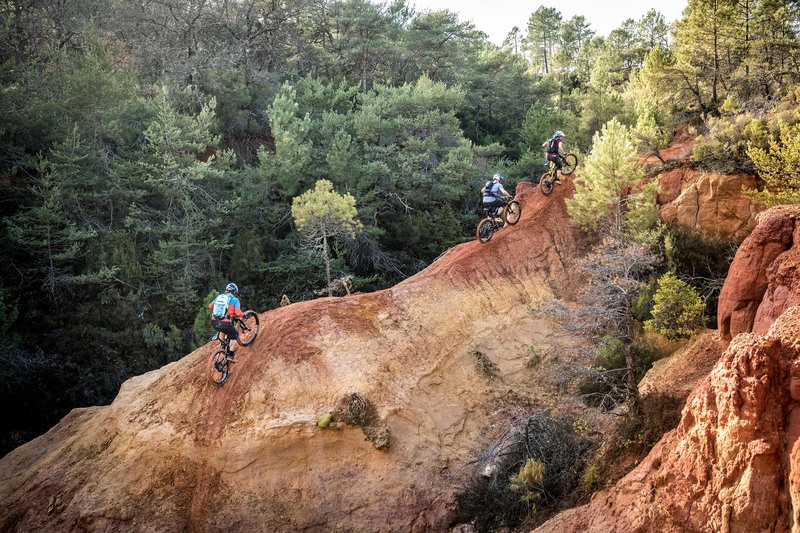 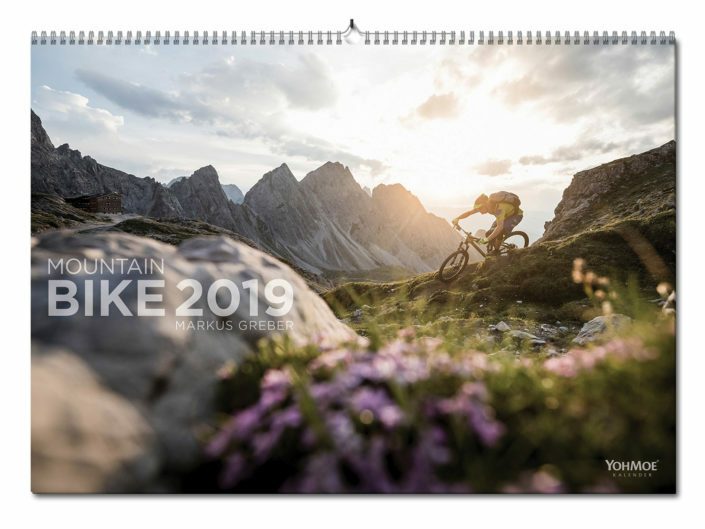 So Canyon Pro Riders Ines Thoma, Darren Berrecloth and Fabiel Barel had a lot of fun not only in the downhill sections.